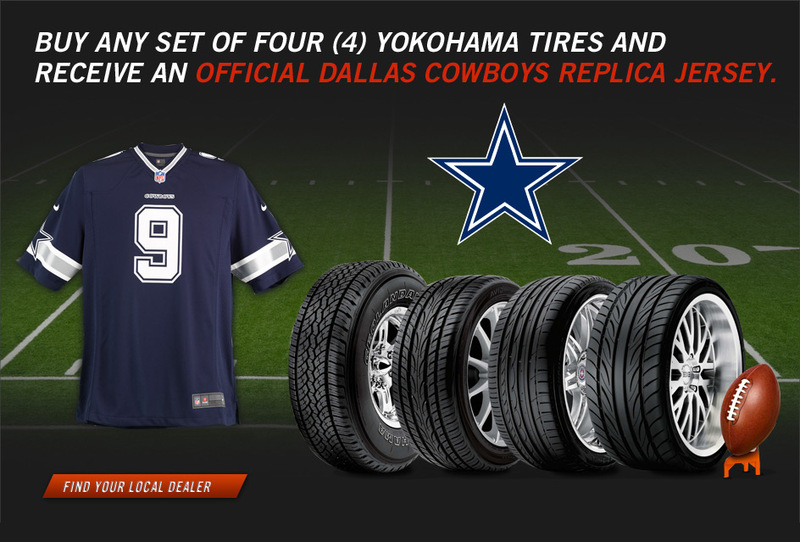 Coppell Tire & Auto: Yokohama Tire's Home Team Pride Promo is Back! Yokohama Tire's Home Team Pride Promo is Back! To receive your free Official Dallas Cowboys Replica Jersey (a $100 value), your tires must be purchased from Sept. 15 – Oct. 31 from Coppell Tire & Auto. Choices are not available for jersey color/number. Available in L & XL sizes only. Redemption form and itemized receipt must be postmarked by Nov. 15, 2012. Allow 6-8 weeks for delivery.